HDFC AMC Makes 65% Listing Gains! Should It Attract Mutual Fund Investors? Home > Financial News. Simplified. > HDFC AMC Makes 65% Listing Gains! Should It Attract Mutual Fund Investors? 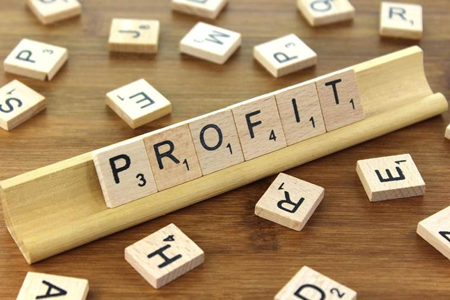 It seems running an Asset Management Company (AMC) is a highly profitable business. On the first day of listing, the HDFC Asset Management Company (AMC) made a debut on stock exchanges in style rallying a massive 65% at closing. This wasn't a surprise considering that it was oversubscribed nearly 83 times. Many mutual fund investors might conclude if the market has welcomed HDFC AMC in such a grand fashion, investing in HDFC Mutual Fund schemes could be equally rewarding too. Believe it or not, you would be mistaken! The HDFC AMC diluted about 12% capital by offering shares worth Rs 2,800 crores. Two of AMC's major shareholders: HDFC Limited, and Standard Life Investments; diluted their stake. In other words, the AMC the issue was carried out solely for the benefit of shareholders. It was purely an Offer For Sales (OFS). In a business where the minimum capital requirement is just 50 crore, the HDFC AMC's Networth is over Rs 2,000 crore. Let's see what factors coalesced to HDFC Mutual Fund is the second-largest fund house (after ICICI Prudential Mutual Fund), with Average Assets Under Management to the tune of Rs 3.07 trillion as on June 30, 2018, as per the data published by Association of Mutual Funds in India (AMFI). HDFC Mutual Fund is the largest franchise for equity-oriented schemes and quite popular among retail investors. Over 62% of the AMC's total AUM comes from retail investors. The dividend distribution ratio of the AMC has been upwards of 50% for the last two consecutive fiscals. In other words, the AMC has been distributing more than half the profit it makes every year. In addition, the AMC has a strong brand recall and expects to benefit immensely from the shift in the investment preferences of Indians (post-demonetisation). More people are willing to invest in mutual funds, and specifically in equity-oriented mutual funds through Systematic Investment Plan (SIPs). And HDFC Mutual Fund is expected to be a major beneficiary of this trend. The fund house has a healthy operating profit margin and generates a Return-on-Equity (RoE) of over 30%. As there's just one more listed AMC, apart from the HDFC AMC, investors have limited options. So whoever wants a share in the asset management business may be compelled to look at HDFC AMC. In a nutshell, HDFC AMC is highly profitable, has a good pedigree, and is a strong player in a growing industry. That's the secret of its success. But what's good for shareholders, may not necessarily good for mutual fund investors. In fact, there has been enough evidence in the past where schemes of the mutual fund houses were doing enviously well, but the fund house wasn't profitable. A case in point is Fidelity Mutual Fund. HDFC Mutual Fund initially grew through acquisitions and through its strong distribution network later. The strong across-the-board performance was its strength once and this has further facilitated its growth. Since HDFC Mutual Fund is a retail-centric and equity-dominant fund house, let's look at the performance of its equity oriented schemes. Have HDFC Mutual Fund schemes lost their charm? Of late, a few schemes of the fund house have been faltering compared to their category peers. 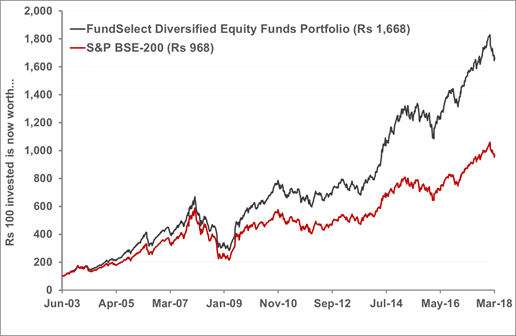 At the same, scheme such as HDFC Capital Builder Value Fund, HDFC Equity Fund, HDFC Long Term Advantage Fund (Equity Linked Savings Scheme), HDFC Hybrid Equity Fund (erstwhile HDFC Premier Multi-Cap and HDFC Balanced Fund), HDFC Mid-Cap Opportunities Fund, and HDFC Small Cap Fund have rewarded their investors well for the risk taken. So, the lesson to learn is not all schemes from HDFC Mutual Fund are worth your hard-earned money. Plus, you cannot base your investment decisions looking at the size of the fund and past performance – more so after SEBI’s mutual fund re-categorisation diktat. Further, you cannot invest in any of the HDFC Mutual Fund’s schemes blindly just because the fund house has a strong promoter, employs some star fund managers, and has offered good listing gains. Remember that investing in the stock of HDFC AMC and the scheme of HDFC Mutual Funds are two different ball games. HDFC Mutual Fund, as a fund house, follows strong investment processes; but there have been times it has taken not-so-investor-friendly routes to grow its AUM. Brand recall and high profits might benefit its shareholders, but may not necessarily work for you as a mutual fund investor. It would be good if you are vigilant about the performance of the scheme you have invested in. You can do this by reviewing your mutual fund portfolio at least once a year. Following the above, will make sure you invest and hold not only the best mutual fund schemes but the ones that are most suitable for you. Don’t you have the time, expertise, or both to select worthy mutual fund schemes? You may opt for PersonalFN’s premium mutual fund research service, FundSelect. PersonalFN's FundSelect has 15+ years of impeccable track record. Every month, our FundSelect service will provide you with an insightful and practical guidance on equity funds and debt schemes – the ones to buy, hold or sell, thus assisting you in creating the ultimate portfolio that has the potential to beat the market. Subscribe to FundSelect today!